Fair House Villas & Spa (Formerly known as Ban Laem Sai Beach Resrt & Spa) located on Maenam beach, the most peace and calm beach of Samui Island. 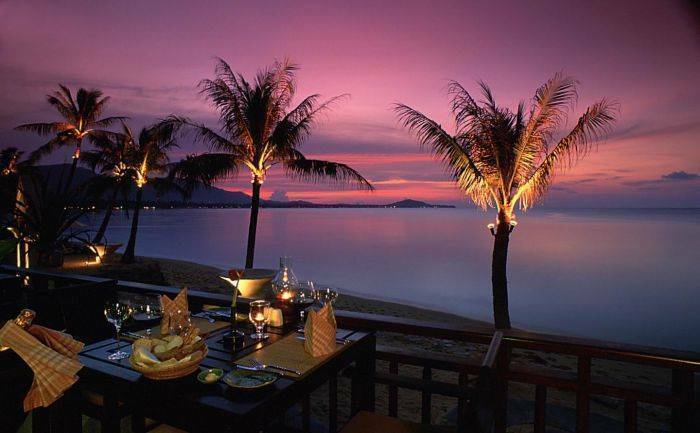 Convenient to tourist attraction, local restaurants, shopping centre and Samui Airport. 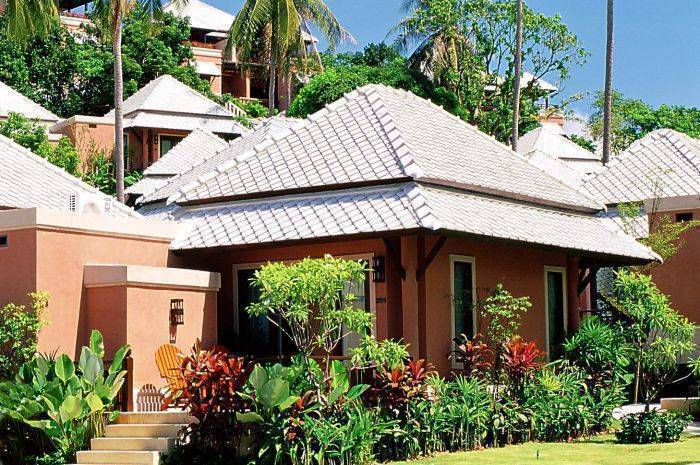 Fair House Villas & Spa is a 4 star resort in Thai Contemporary style with modern infrastructure settle in amidst of tropical garden and coconut plantation which you can experience of Samui Thai touch. Fair House Villas & Spa provided luxury accommodation, bars, restaurants, fitness room, guest activities and etc. Wedding at Fair House Villas & Spa is unique and memorable with our experience and professinoal. We believe that each wedding should be unique in its own way just as we are unique in our own way. Weather you prefer a western style wedding on the beach or a Thai style monk ceremony overlooking Maenam Bay, we are sure to make your special moment unique and individual to yourself for an unforgettable wedding. Green Project at Fair House Villas & Spa has been organized in September 2007 by 14 Green Heart Associates who would like to devote themselves for protecting, preventing and taking care of the environment. We work hard with our passion on maintaining our beautiful nature and developing our resort to be better as well as our community. Additionally, we basically research and educate the general staff of the resort and local community to help further develop our project. Fair House Villas & Spa is very concerned in the environment issued and sustainable tourism of Samui Island. Pool Bar Situated on the terrace by our pool, serving a full range of light meals, snacks, refreshments, cocktails, beer and wine for you to enjoy. Served in or by the pool. Pandanus Spa Offering a great variety of treatments including Thai, Swedish, Foot, Aroma and warm stones massage. Fully equipped with showers, steam rooms and secluded treatment rooms for your own privacy. Fitness Room In the hillside with a panorama view over the Gulf of Siam, we offer you a fully air-conditioned and top modern fitness room with your own personal instructor who will guide you through your work out sessions. 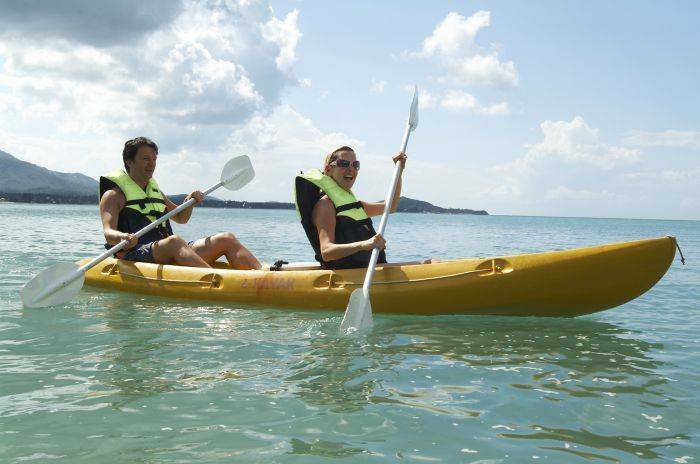 Kayak and Water Sports Borrow one of our kayaks and go for a sightseeing along the Maenam beach, exploring it from the outside. Water sport activities are located close by, including power boat rental, jet skies and numerous scuba diving opportunities. Deluxe Balcony 6 Units There are 6 Deluxe Balcony rooms (each is 62 sq. m.) in Thai Contemporary style located on the hillside designed for maximum comfort, consists of private balcony, one bedroom, bathroom with separate bathtub and shower room and complete in-room facilities. Garden Villa 34 Units 34 Modern Thai style villas (each is 48 sq. m.) equipped with modern infrastructure, consist of comfortably large bathroom with full length bathtub separate shower room, hot and cold water and full bath amenities setup, settle in a amidst of tropical garden. Sunset Jacuzzi 6 units Our 6 Sunset Jacuzzi is surrounding with the tropic garden on the hillside facing to sunset viewpoint in the very peaceful area (each is 62 sq. m.) Consists of Jacuzzi on private balcony, DVD/CD Player with sound system, one bedroom, bathroom with separate bathtub and shower room and complete in-room facilities. Sunset Suite 10 Units Dip into the outdoor Jacuzzi and Indulge with a magnificent sunset. Our 10 Sunset Suites (each is 62 sq. 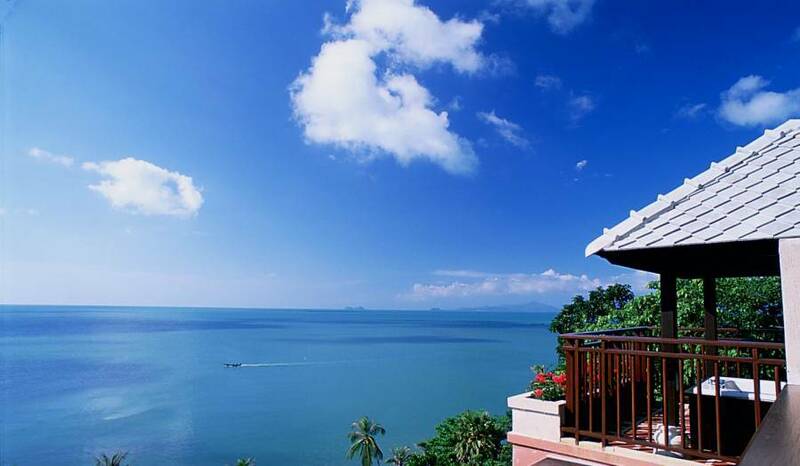 m.) with partially panoramic sea view located on the hilltop overlooking a beautiful Gulf of Siam. Consist of a cozy and comfortable bedroom, DVD/CD Player with sound system, separate bathtub and shower, full bath amenities and modern facilities. Pool Villa 10 Units There are 10 units of Pool Villa (each is 95 sq. m.). The unique villa located next to a Jacuzzi Villa suitable for honeymoon couple or family. The room has one luxurious bedroom, en-suite bathroom with modern facilities, DVD/CD Player with sound system and full amenities setup. All rooms have a private balcony, outdoor Sala and private pool with Jacuzzi. Beachfront Villa 6 Units All the 6 units of Fair House Beachfront Villa (each is 122 sq. m.) have their own romantic outdoor Sala surrounding with beautiful garden, private pool and balcony as well as easy access to the beach. Each room features one living room, one bedroom and two en-suite bathrooms, DVD/ VCD player with sound system to enjoy on the LCD TV. 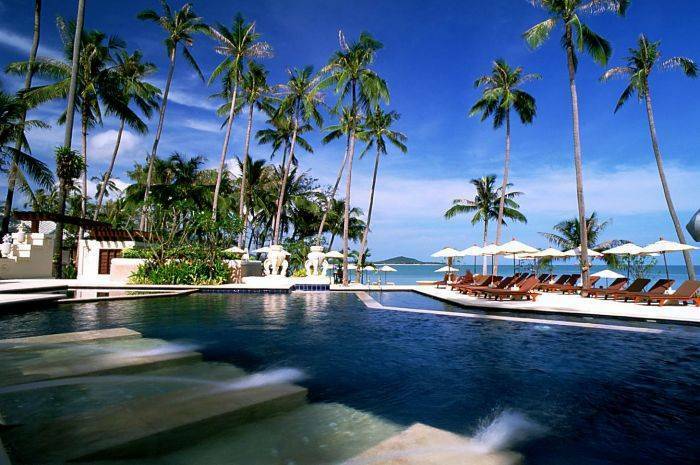 Fair House Villas & Spa is the green hotel located on a private beach which is a best location of Samui island. Escape from a disturbance of Samui nightlife and still keep a convenience distance from Samui Airport, Local Restaurants, Bars, Shopping Centre and tourist attraction. The Bre Eze Thai pavilion restaurant at the beachfront serving buffet breakfast, light snacks, lunch and dinner. The menu consists of both Thai and international cuisine. Rates inclusive of 10% service charge, applicable taxes and breakfast. All booking need guarantee by credit card at the time of reservation. Cancellation less than 72 hours, now show and early departure, a penalty fee will be applied for one night only. Located on the Maenam beach.